Last week I listened to/watched a wonderful talk by Kirstie Clements, the woman who was the editor of (Australian) Vogue Magazine for 12+ years and was unceremoniously dismissed last year. The talk is an incredible exploration of women in the business world and if you have 25 minutes to give to it, you may just find it as fascinating as I did. One of the points that Kirstie made was about holding tight to professional integrity when many around you are selling theirs to the highest bidder. In particular, she had some interesting things to say about ‘market research’ and how middle-predominantly male-management at the publishing house would tell her – a woman who had worked in the fashion publishing industry for more than two decades – about the Vogue reader. Market research indicated that women do not read pages of text without at least one image on them. Market research told middle management that all women like pink and all women like shoes. These were the specific examples that she listed, but you get the drift. She was constantly battling to provide cutting-edge, relevant content while still maintaining a luxury brand. Whether or not you are a Vogue reader, there’s definitely something to be said for professional integrity and knowing your audience. This week I went shopping for Mother’s Day cards – 5 in total, for various lovely ladies in the family that Ben and I share – and boy, talk about pink! To steal a line from a fave movie of mine, Steel Magnolias. “It looked like the place was hosed down in Pepto Bismol!” Pink, pink, pink, and not a drop to drink (I don’t mind a drop of pink champagne or a Cosmo from time to time). 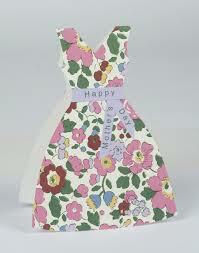 And not just pink cards – pink cards with flowers or dresses on the front. Flowers I can understand, but dresses? Drawings of dresses? Why on earth??? Maybe this love of drawings depicting pink dresses is a well-kept ‘mother’ secret and as I am not a mother, I am not privy to it? Or, maybe, somewhere down the line, the market researchers had a brain fart and this is the result. Good grief, Charlie Brown! By the way, I chose the least flowery, least overly pink cards I could find. For those 5 women, one is coming soon to a mail box near you. Last week (it was a big week for revelations), Ben and I went to see my uni friend, Gavin, perform his comedy act as part of the Melbourne Festival. I would plug it, but it’s over. It was hilarious, by the way, but back to the farts. Gavin, a comedian who expertly draws on real life for his act, had tried to find his dad a card for this birthday. Apparently – and I can attest to this being true, as I bought a card for my soon-to-be-60-father-in-law yesterday – all 60-year-old men like booze, cars and/or golf. I say ‘and/or’ because to their credit a lot of the cards combined these activities in pairs – and sometimes all three! The exception to these three things that 60-year-old men like, is farts. 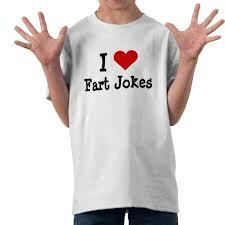 Apparently they also love fart jokes, even the unfunny ones. All men do, didn’t you know?? So much so, that in his show Gavin produced what I can only describe as the WORST card I have ever seen, which said on the cover, “Your farts hospitalise small children,” and on the inside it said nothing. It was blank. I mean, really, once you’ve said that to someone, what else is there to say? The saddest part? Gavin had to go to three places to buy it, because it was sold out in Myer and Target. So, well done market researchers. Women like pink and men like farts. ** No market researchers were harmed in the writing of this blog.